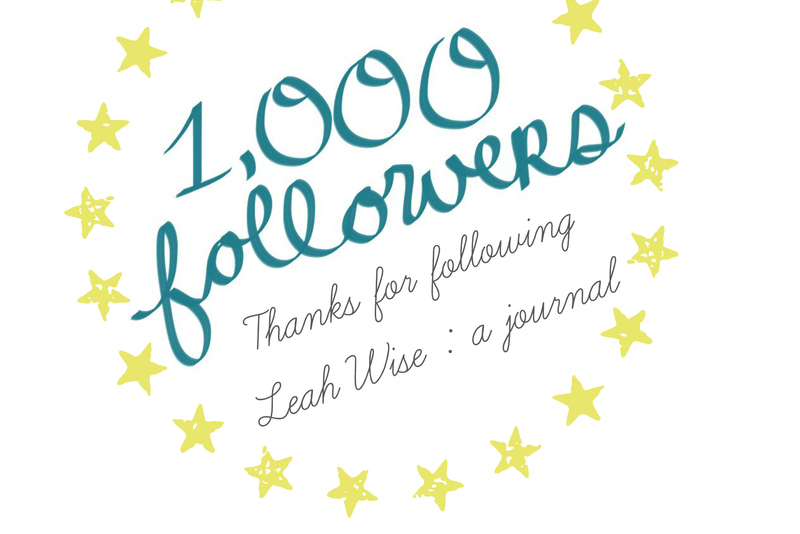 Thanks for following Leah Wise : a journal! Today I reached 1,000 followers on WordPress. I think every blogger hopes to gain this type of readership, but it’s often quite elusive. I’ll keep on posting essays, thoughts, and snippets from my life and I hope you’ll keep following along.